Banning laptops is a simple, yet effective, solution to the problem of student distraction during lecture. Studies from various researchers, including Michigan State University, have confirmed this assertion, going so far as to note that, on average one-fourth of lecture time was spent on non-coursework related internet usage. Furthermore, lecture laptop usage has shown no positive benefits for students; instead students tend to “copy more and synthesize less,” ultimately ending up with a worse understanding of the material. In addition, research has definitively shown that removing laptops forces students to slow down, handwrite and analyze the important parts of a lecture, leading to a better retention of the material. Paradoxically, this approach is not modeled when taking notes via laptops, since students have a tendency to type quickly and directly copy lecture slides, rather than deeply comprehend a topic. To further cement this point, additional research showed that even when students referred back to their computerized notes, which were much longer and more thorough, handwritten notes still proved king, largely because students understood the information better the first time. This research is frustrating for students, especially those who would prefer to “zone out” for a lecture rather than focus on the material at hand. This is especially true for classes deemed to be “low-effort,” namely general education courses which many students don’t respect. However, students should strive to look for courses that are interesting and engaging, and therefore, command respect. Doing so, and then banning laptops from lecture, would create an educational environment, allowing students to effectively learn and synthesize new information that they find useful and relevant. Arguably, a good portion of the desire to use laptops is a thinly-veiled desire to defocus during lectures, and encouraging students to take interesting classes would reduce dependence on laptops, even if the class itself was harder than a more boring and less engaging class. Professors should be enacting new rules in their lecture halls so that they can continue to keep participation and interest high. It is unfair to ask professors to compete with the vast plethora of information and entertainment on the Internet, and even the most dedicated laptop-using student sets an example for struggling students, who may lack similar note-taking and comprehension abilities. Education, therefore, is a group effort, and you can do yours by turning off the screen until after class ends. Because many students use their laptops to further facilitate learning in the classroom, lecturers should allow laptop use and take advantage of the prevalence of technology to encourage student engagement. During information-heavy lectures, many students find needing to hand write notes overwhelming, seeking refuge in the speed and ease of electronic note-taking. Furthermore, with ever-progressing note-taking technology, students can easily make diagrams, insert pictures or videos and have their notes stored in the cloud for quick access and live-collaboration through Google Docs and other popular softwares. This is the age of digitized sources: online lecture slides, textbook readings and interactive activities prove to enhance learning for students who feel comfortable using their laptops as an academic aid. The issue is not that laptops are inadequate for note-taking; it is that students are often not trained to effectively take notes electronically. 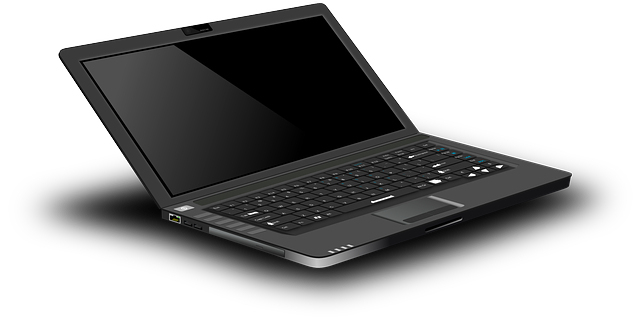 However, this is dramatically changing, as, according to THE Journal, 75 percent of high school students use their laptops for educational purposes, and the vast majority believe tablets will “help them learn and lighten their backpacks.” Laptop use in education is increasingly commonplace, and young students are becoming more comfortable with using their laptops for academics. Instructors can apply this relationship with technology to adapt to new forms of hands-on learning and evade distractions in the classroom. As Assumption College Professor Jim Lang writes, “when you have a sea of distracted students while you are reading slides from the front of the room, it may be time to explore some new teaching techniques.” Technology provides an easy outlet to distracted students, but disengaging lecturing is the primary reason they are distracted. Instead of placing a blanket ban on all laptops or simply lecturing without engaging with the students and their devices, lecturers could take a nuanced approach to benefit from pervasive laptop use. By directing the class to certain pertinent articles, creating interactive online guides to follow or making polls to understand how students best learn, lecturers can communicate in the language our generation best understands. At the same time, instructors need to be trained to interact with a technology-dependent younger generation and bridge generational gaps in learning. Teaching proper note-taking skills on our devices and engaging in interactive lecturing will lead students to be less distracted in class.